Indeed, good people still exist. I know am one of them. This girl was lying on a heap of sand by the roadside near the pig farm at Agona with about three people gathered around. It was some few minutes after 7:00 pm and it was even drizzling. I just couldn’t ignore her. I parked my motorbike, organised a taxi and with the help of some of the people around, carried this unconscious lady to the hospital together with the driver and the people around, whilst I went to make a formal complaint about the incident at the police station and then joined them at the hospital. She gained consciousness and fully recovered about 45mins later. She then requested for water and it was given to her plus Malta Guinness. I could tell the girl was really hungry. Searched through her bag and saw a book with some phone numbers. I called one of the numbers and fortunately, it was her mum who stays at Kronom, a suburb of Kumasi.I had to wait at the hospital till the mum came around 10:45pm before I left. She narrated what happened to her whilst I waited for her mum. The police also came around and did their questioning as well. 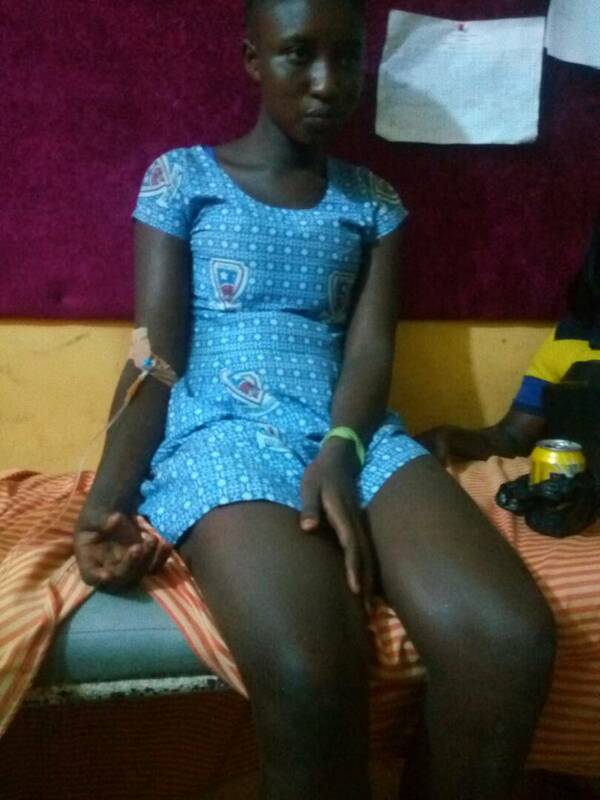 What really happened to the girl, Martha, a student at Dompoase SHS is a story for a Kumawood movie. She took a taxi from Kejetia to Santasi last week Tuesday and the last thing she heard was “we have a female”–so only God knows what they had wanted to do with her. She was taken to an unknown location and was kept there for 6 days. Not knowing what they did to her, she was found lying by the roadside unconscious. I just called her mum at the hospital and she is doing very well. To God be the glory. Yes indeed, good people still exist and I am proud to be one of them.